Can you hear the splash of the paddles? Can you listen to the sounds of cheer? Even if you can't, you soon will. For the Dragon Boat Festival is coming again. Popularly known in China as "Duan Wu Jie", this wonderful occasion is typically celebrated with annual boat races and mouthwatering Chinese recipes. 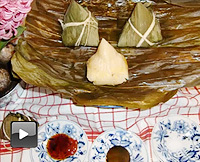 With the Dragon Boat Festival coming up again, TheHolidaySpot brings to you the recipes for some lip-smacking Chinese dishes prepared during the event. 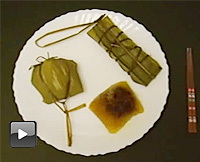 Prepare these at your home this "Duan Wu Jie" and pamper yourself and your loved ones. 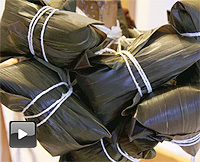 Celebrate Dragon Boat Festival with one and all. 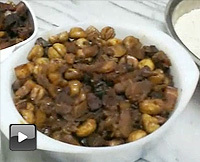 To share these recipes with your friends, just click here.